The Andretti Autosport driver's dominant victory should be appreciated as another sign of an emerging IndyCar superstar. A shoulder and kidney injury will keep him out of the last two races of 2019. Graham and Bobby Rahal lobbied that the No. 15 Honda should have remained on the podium after battling for position with Scott Dixon. Alexander Rossi dominated the racetrack as he captured his second straight Acura Grand Prix of Long Beach. NHRA missing in action: Where is Tony Schumacher? The winningest driver in NHRA Top Fuel history vows he'll be back behind the wheel once his team secures sponsorship. Get ready as Mario Andretti tells his story in Drive Like Andretti, which will lead up to the 2019 Indy Grand Prix on NBC on May 11. Alexander Rossi wins the IndyCar Grand Prix of Long Beach from pole position for the second straight year to collect Andretti Autosport's 200th win. Josef Newgarden gives it everything he has in Long Beach but falls short in the end behind Alexander Rossi to finish second in the Grand Prix of Long Beach. Alexander Rossi reveals the death of his grand father one day prior and dedicates his victory in the Grand Prix of Long Beach to his memory. Scott Dixon gives his thoughts on the final lap battle with Graham Rahal and whether or not he had anything for Alexander Rossi during the race if not for a problem in the pits. Graham Rahal explains his side of things as IndyCar slaps him with a blocking penalty that drops him to fourth instead of finishing on the podium. For the second straight year Alexander Rossi starts from the pole and for the second straight year Alexander Rossi wins the IndyCar Grand Prix of Long Beach. Even though team patriarch John Force is still seeking his 150th career win, Sunday was still a strong day overall for John Force Racing. The Andretti Autosport driver crushes the field in starting from the pole position for his first win of 2019. Marco Andretti is second, followed by Ryan Hunter-Reay, Graham Rahal and Takuma Sato. Thoughts from pit road before today's NTT IndyCar Series race on the streets of Long Beach (4pm ET on NBCSN). Sebastian Vettel of Ferrari was third after the 1-2 finish for Mercedes. The morning warmup session will be shown live on NBC Sports Gold at noon. Race coverage begins at 4 p.m. ET. Eli Tomac shot ahead at Denver to find his fifth win of the Supercross season. Look back at all the best moments from Filipe Albuquerque's win in the 2019 Grand Prix at Long Beach. Eli Tomac won the battle in Denver, but Cooper Webb came one week closer to winning the Supercross war. Look back at the best moments from IndyCar qualifying at Long Beach, including crashes, a Team Penske qualifying comeback and Alexander Rossi's top finish. Alexander Rossi will start from pole position for the second straight year, as the California native looks to make it back-to-back victories in the Grand Prix of Long Beach. Alexander Rossi will start Sunday's Acura Grand Prix of Long Beach in P1 for the second consecutive year, and looks to make it back-to-back victories from the pole there. Rossi was the fastest driver in Saturday morning's IndyCar Series practice session on the Southern California street course. Jarett Andretti will become the seventh member of his family to race at the Brickyard in next month's Indy Lights race. With two drivers from Sweden in the NTT IndyCar Series, there is more interest in IndyCar than in Formula One, according to Felix Rosenqvist. Ryan Hunter-Reay and Scott Dixon take turns trading fast laps during Friday's practice sessions for the IndyCar Grand Prix of Long Beach. The 2015 Long Beach winner was the fastest driver in a session which saw the top 19 drivers all separated by less than a second. Ludacris explains his friendship with Marco Andretti and the Andretti family over the last decade ahead of NBC Sports Films’ new documentary, Drive Like Andretti, debuting this May on NBC. It was 10 years ago at the Long Beach Grand Prix that the career paths for Helio Castroneves and Will Power were forever changed. The Andretti Autosport driver led the first session of the weekend with a time of 1 minute, 7.9335 seconds around the Southern California street circuit. The DPI points leader practiced Friday morning and had no complications after undergoing surgery while on vacation in Hawaii. Only three rounds remain in the 2019 Supercross season and Cooper Webb's lead is looking safer every week, while Eli Tomac returns to his home track ready to keep his momentum rolling. After the two longest races of the season, the IMSA WeatherTech SportsCar Series switches gears for its shortest event on the calendar. A.J. Allmendinger and Parker Kligerman provide a preview of one of the premiere IndyCar races of the season ahead of the Grand Prix of Long Beach. Eli Tomac returns to his home track ready to keep his momentum rolling. Because Chip Ganassi Racing's IMSA driver Joey Hand has "flu-like symptoms" Sebastien Bourdais will run IMSA and INDYCAR at Long Beach. Take a look back from the sights and sounds from Barber where Takuma Sato cruised to his first victory at Barber Motorsports Park. After the two longest races of the IMSA season, the DPi and GTLM classes face a 100-minute 'sprint' race in Long Beach. Long Beach has never seen a driver win in consecutive seasons since IndyCar began sanctioning the event. Watch Sunday at 4 pm ET on NBCSN. Pritchett is hoping to earn her second career win at Houston Raceway Park this weekend. Adam Cianciarulo crashed in Houston and Austin Forkner injured his knee at Nashville while their competition scored podium finishes. Two-time Formula One World Champion Fernando Alonso tested his McLaren Indy car on an oval at Texas Motor Speedway on Tuesday. The annual Acura Grand Prix of Long Beach is more than a race -- it's an event featuring several series, including IndyCar, IMSA and more. 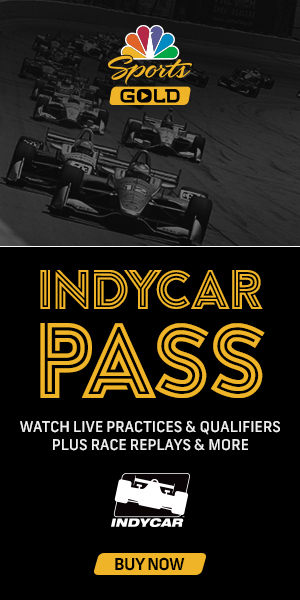 One of the premiere IndyCar races of the season sets off on Sunday, April 14 with the running of the Grand Prix of Long Beach on NBCSN and the NBC Sports app at 4:30 p.m. ET. Schmidt Peterson Motorsports placed both of their drivers in the top 10, but while it was a confidence booster for one it was disappointing for the other. NHRA Vegas Four-Wide Winners: Todd, Butner, Salinas, Arana Jr.
Other winners: Mike Salinas earns first career Top Fuel win, Hector Arana Jr. gets first Pro Stock Motorcycle win of 2019. Josef Newgarden had a steep hill to climb, but thats what made his fourth-place finish at Barber so special.